"The Lord's House leaketh...West Side Roofing fixeth!" 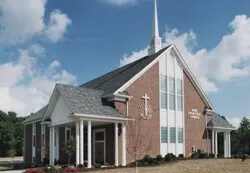 West Side Roofing has had the privilege of serving numerous churches with roof replacement needs around Cleveland, Akron and Northeast Ohio. From complete tear-offs to high-rise detailed work, we have completed and solved roofing problems for many churches and religious institutions in the Greater Cleveland area. 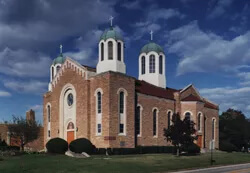 West Side Roofing takes pride in serving churches within Cleveland’s Historical District. 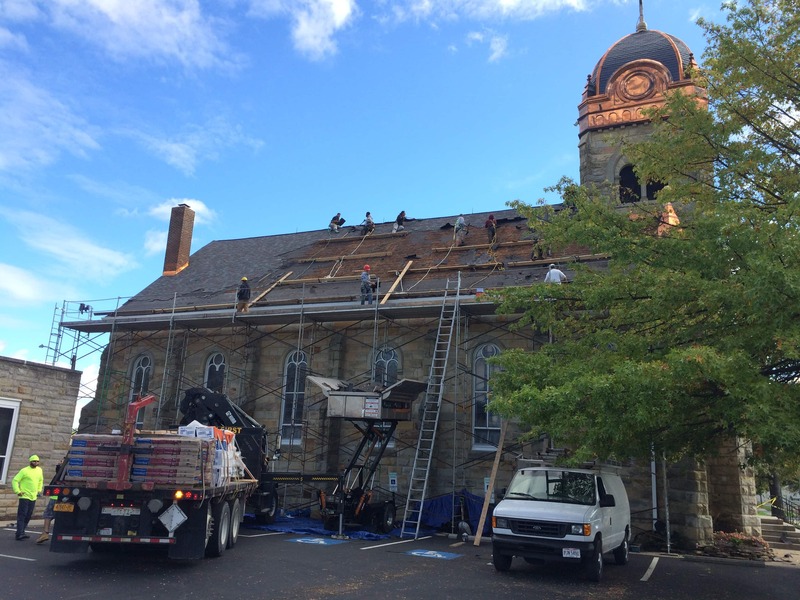 Old Stone Church and the Pentecostal Church of Christ, both historical landmarks, needed some roofing assistance. These buildings, like many others, have such an ornate interior design that any water damage could be extremely expensive. West Side Roofing was hired by both institutions to replace their steep slope (shingle) roof areas. Being a historical district, this required Q and A meetings with city counsel to explain what we would be doing. Once they signed off, multiple building permits where needed to work within city building code. Jamie Spacek, President of West Side Roofing, was familiar with this process and made sure everything took place without a glitch. West Side Roofing scheduled and replaced both roofs within the time frame they set. We utilized our crane service, which allowed our crew to work within OHSA standards and run an efficient job site. We know that the knowledge and experience of everyone involved helped these projects run smoothly. Call West Side Roofing now at (216) 898-1900!